Ghousi, R. (2015). Applying a decision support system for accident analysis by using data mining approach: A case study on one of the Iranian manufactures. Journal of Industrial and Systems Engineering, 8(3), 59-76. Rouzbeh Ghousi. "Applying a decision support system for accident analysis by using data mining approach: A case study on one of the Iranian manufactures". Journal of Industrial and Systems Engineering, 8, 3, 2015, 59-76. Ghousi, R. (2015). 'Applying a decision support system for accident analysis by using data mining approach: A case study on one of the Iranian manufactures', Journal of Industrial and Systems Engineering, 8(3), pp. 59-76. Ghousi, R. Applying a decision support system for accident analysis by using data mining approach: A case study on one of the Iranian manufactures. Journal of Industrial and Systems Engineering, 2015; 8(3): 59-76. Iran University of Science and Technology, Industrial Engineering Dept. Uncertain and stochastic states have been always taken into consideration in the fields of risk management and accident, like other fields of industrial engineering, and have made decision making difficult and complicated for managers in corrective action selection and control measure approach. In this research, huge data sets of the accidents of a manufacturing and industrial unit have been studied by applying clustering methods and association rules as data mining methods. First, the accident data was briefly studied. Then, effective features in an accident were selected while consulting with industry experts and considering production process information. By performing clustering method, data was divided into separate clusters and by using Dunn Index as validator of clustering, optimum number of clusters has been determined. In the next stage, by using the Apriori Algorithm as one of association rule methods, the relations between these fields were identified and the association rules among them were extracted and analyzed. Since managers need precise information for decision making, data mining methods, when to be used properly, may act as a supporting system. Ale, B.J.M., Baksteen, H., Bellamy, L.J., Bloemhof, A., Goossens, L.G., Hale, A., Mud, M.L., OH, J.I.H., Papaszoglou, I.A., Rost, J., Whiston, J.Y., 2008, Quantifying occupational risk: The development of an occupational risk model, Safety Science, 46, 176-185. Aneziris, O.N., Papazoglou, I.A., Mud, M.L., Damen, M., Kuiper, J., Baksteen, H., Ale, B.J., Bellamy, L.J., Hale, A.R., Bloemhoff, A., Post, J.G., Oh, J. 2008. Towards risk assessment for crane activities, Safety science, 46,872-884. Aneziris, O.N., Papazoglou, I.A., Mud, M.L., Baksteen, M.H., Ale, B.J., Bellamy, L.J., Hale, A.R., Bloemhoff, A., Post, J.G., Oh, J., 2008. Qualified risk assessment for fall from height, Safety science, 46,198-220. Buldu, A., Mucgun, K., 2010, Data mining application on student's data, Procedia social & Behavioral sciences, 2, 5251-5259. Canadian center for Occupational Health and Safety (CCOHS,), 2006, Accident Investigation, 1-10.International Labor Organization (ILO), 2005. Cheng, C.W., Lin, C.C., Leu, S.S., 2010, Use of association rules to explore cause–effect relationship in occupational accidents in the Taiwan construction industry, Safety Science, 48, 436-444. Cheng, C.W., Leu, S.S., Cheng, Y.M., Wu, T.C., Lin, C.C., 2012, Applying data mining techniques to explore factors contributing to occupational injuries in Taiwan’s construction industry, Accident analysis and prevention, 48, 214-222. Cheng, C.W., Yao, H.Q., Wu, T.C., 2013, Applying data mining techniques to analyze the causes of major occupational accidents in the petrochemical industry, Loss Prevention in the Process Industries, 26, 1269-1278. Cheng, Y., Yu, W.d., Li, Qiming., 2015, GA‐based multi-level association rule mining approach for defect analysis in the construction industry, Automation in Construction, 51, 78-91. Emre gurcanli, G., Mungen, U., 2009. An occupational safety risk analysis method at construction site using fuzzy sets, Industrial Ergonomics, 39, 371-387. Gunter, S., Bunke, H.T., 2003, Validation indices for graph clustering, Pattern Recognition, 24, 1107-1113. Grassi,A., Gamberini, R., Mora, C., Rimini, b., 2009. A fuzzy multi-attribute model for risk evaluation in workplaces, safety science, 47, 707-716. Gurrutxaga, I., Muguerza, J., Arbelaitz, O., Perez, J.M., Martin, J.I., 2011, Towards a standard methodology to evaluate internal cluster validity indices, Pattern Recognition, 32, 505-515. Han, J., Data Mining: Concept and Techniques, second Edition, 2006. Liao, C.W., Perng, Y.H., 2008, Data mining for occupational injuries in the Taiwan construction industry, Safety Science, 46, 1091-1102. Liang, Y.H., 2010, Integration of Data mining techniques to analysis customer value for the automotive maintenance industry, Expert systems with Applications, 37, 7489- 7496. Lluís, S., Josep M. R., Carla, V., 2015, Study of Spanish mining accidents using data mining techniques, Safety Science, 75, 49-55. Mure, S., Demichela, M., 2009, Fuzzy Application procedure (FAP) for the risk assessment of occupational accidents, loss prevention in the process industries, 22, 593-599. Mirabadi, A., Sharifian, S., 2010, Application of Association rules in Iranian Railways (RAI) accident data analysis, Safety Science, 1427-1435. Nait-Said, R., Zidani, F., Ouzraoui, N., 2009. Modified risk graph method using fuzzy rule – based approach, Hazardous Materials, 64 651-658. Ngai, E.W.T., Xiu, L., Chau, D.C., 2009, Application of Data mining techniques in customer relation management: A literature review and classification, Expert systems with applications, 36, 2592-2602. Nenonen, N., 2013, Analyzing factors related to slipping, stumbling, and falling accidents at work: Application of data mining methods to Finnish occupational accidents and Diseases statistics database, Applied Ergonomics, 44, 215-224. Pakhira, M.K., Bandyopadhyay, S., Maulik, U., 2004, Validity index for crisp and fuzzy clusters, Pattern Recognition, 37,487-501. Reniers, G.L.L., Dollaret, D., Ale, B.J.M., Soudan, K., 2005, Developing an external domino accident prevention framework: HAZWIM, Journal of Loss Prevention, Loss Prevention in the process industries, 18, 127-138. Rad, A., Naderi, B., Soltani,. M., 2011.,Clustering and ranking university majors using data mining and AHP algorithms: A case study in Iran, Expert systems with Application, 38, 755-763. 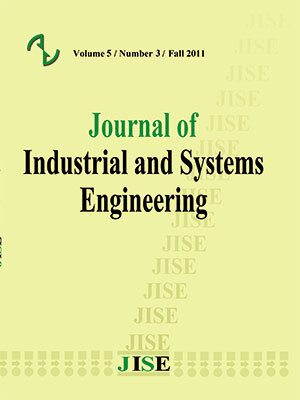 Rivas, T., Paz, M., Martın, J.E., Matıas, J.M., Garcıa, J.F., Taboada, J., 2011., Explaining and predicting workplace accidents using data-mining techniques, Reliability Engineering and System Safety, 96,739–747. Rizman Zalik, K., Zalik, B., 2011, Validity index for cluster of different sizes and densities, Pattern Recognition, 32, 221-234. Sari, M., Sevtap Selcuk, A., Karpuz, C., Sebnem, H., Duzgun, B., 2009,Stochastic modeling of accident risks associated with an underground coal mine in Turkey, Safety Science, 4, 778 – 87. The causes and incidence of occupational accidents and ill-health across the globe (BSC) copy right, 1-40, 2009. Verma,A., Das Khan, S., Maiti, J.,rishna, O.B., Identifying patterns of safety related incidents in a steel plant using association rule mining of incident investigation reports, Safety Science, 70, 89-98. Wang, W., Y. Zhang, Y., 2007, On fuzzy cluster validity indices, Fuzzy Sets and Systems, 158, 2095-2117. Zheng, X., Liu, M., 2009, An overview of accident forecasting methodologies, Loss Prevention in the process Industries, 22,484-491. Zhang, D., Jiang, K, 2012, Application of Data Mining Techniques in the Analysis of Fire Incidents, , 43,250-256.